New Zealand rugby high performance player development manager Paul MacKinnon, today kicks off a series of workshops throughout Northern Ireland on how to develop emerging talent in the game. 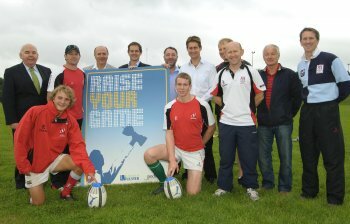 The University of Ulster and management development and events company Podiem have teamed up with the main behind New Zealand rugby as part of the University’s successful ‘Raise Your Game’ conference series. With one of he most prestigious roles in world rugby, MacKinnon will host talks at the Portadown Rugby Club on Thursday 5 August, the home of Ulster Rugby at Ravenhill in Belfast on Tuesday 10 August, and the University of Ulster’s Coleraine campus on Thursday 12 August. All start at 6:15pm. The Ulster Sports Academy and Ulster Business School have joined forces to show business leaders how lessons learned from sport can be applied to commerce. By bringing his sporting experience together with leading edge leadership and management practices, MacKinnon ensures a steady stream of high performing New Zealand rugby players. His innovative approach delivers high standards both on and off the pitch ensuring the New Zealand continues as a leading rugby force on the international stage and with a third successive IRB Junior World Championship (U20) in Argentina – the approach seems to be working. The initiative Small Blacks to All Blacks involves the development of both coaching structures and methods that are adopted by clubs at all levels. MacKinnon also works directly with managers and coaches to develop their skills and his leadership workshops have formed the basis of their quest for excellence. This is strategy in action, largely focused on leadership, vision, communication and learning. The approach is supported with analytical techniques for performance management and improvement. As part of ‘Raise Your Game’ sportsmen and women and local business leaders have already experienced talks from four-times Olympic gold medal winning rower Sir Matthew Pinsent, champion jockey Dr Richard Dunwoody MBE, former Ireland cricket coach Adi Birrell, world-champion water skier Janet Gray MBE, Tyrone GAA coach Mickey Harte, and Commercial Director of Wembley Stadium Jonathan Gregory. 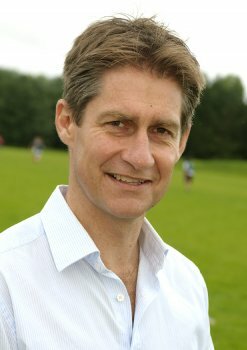 Dr Nigel Dobson, Co-Director of the Ulster Sports Academy, said: “To add Paul to our list of speakers on the ‘Raise Your Game’ conference series shows that the University is bringing some of the world’s most prestigious people in sport to Northern Ireland.